Joshua used his Campus Credits to buy a laptop! North Campus students earn Campus Credits for attendance and performance. 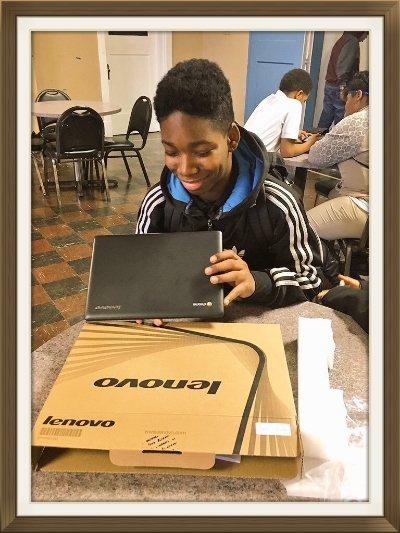 After saving all his Campus Credits for months, Joshua finally earned enough to purchase his very own ChromeBook! Way to go, Joshua!! !